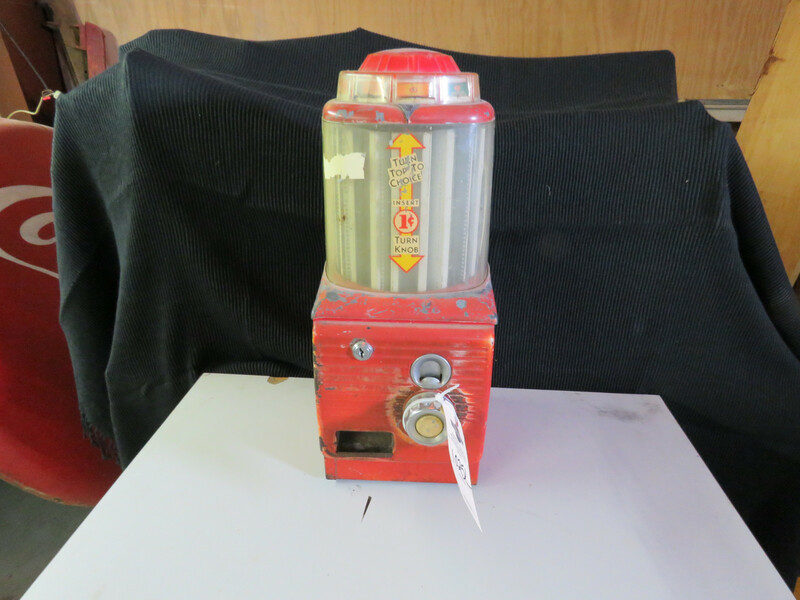 you are bidding on a vintage gumball machine. NO stand. Was smaller packs of gum and dial for selection. Original. Shipping available. This is part of the John Lewis Collection Auction in Lawton, OK. Selling AS IS AND ALL SALES ARE FINAL-NO EXCEPTIONS. Bidder’s are responsible to view information and pics provided and bid accordingly. Preview times are available as posted. If you need more info, please call or email, but you are responsible for your bidding and winning bids. Payment is within 72 hours and money wire or verified funds only for vehicles. CC with ADM fee for other items. Removal within 7 days. Winning bidders are responsible for all shipping, arrangements, and those costs. Some items have shipping available at buyer’s expense. This will be noted in descriptions. Larger signs and items, but be picked up. Please bring invoice upon pickup. Buyers will be required to sign for items. Thank you for bidding. We would hope that you would be in person for the auction, but happy bidding. 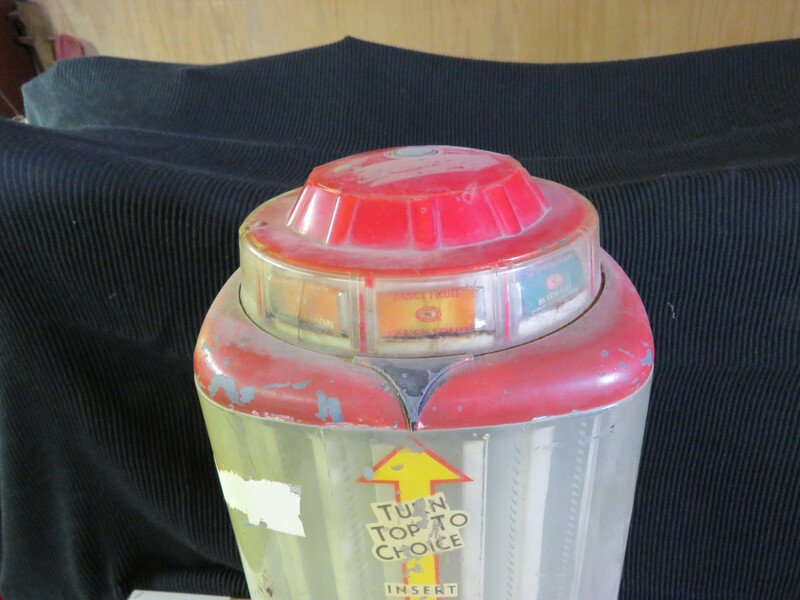 For more info and other auctions www.vanderbrinkauctions.com or 605-201-7005.